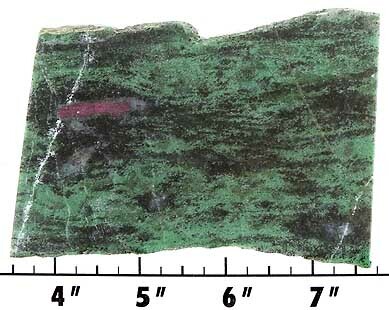 Ruby-in-Zoisite is a blend of two materials: crystaline aggregates of green Zoisite, and Ruby inclusions. 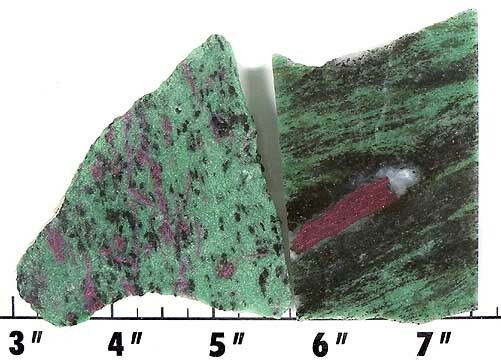 This creates a lovely combination of colors, the green from the zoisite and a red/pink from the ruby. 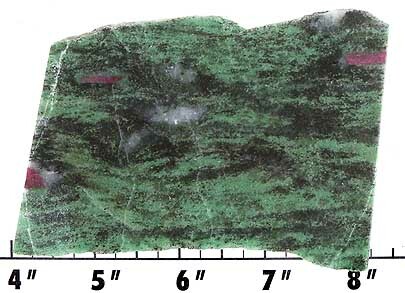 Ruby-in-Zoisite takes a good polish with diamond. 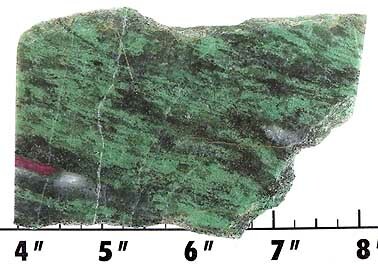 Mohs hardness ranges from 6 for the zoisite to 9 for the ruby. The ruby tends to be chatoyant, but it also can chip out during cutting. Therefore, careful cutting with finer wheels is required to get a quality finish. 1 at 9/32 to 5/16" thick. 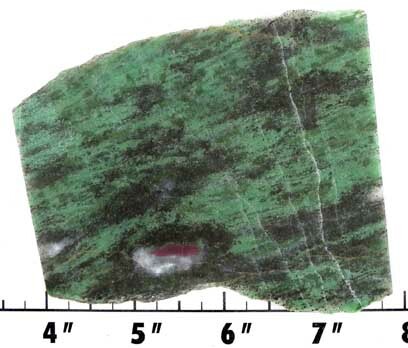 We also have CABOCHONS of this material.